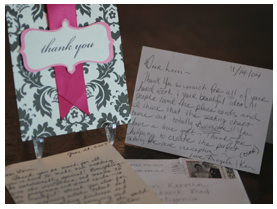 "A huge thank you is owed to Madeline and the Divine Invitation for creating our dream wedding invitation. She was able to clearly understand our image and design the most beautiful invite. Months later I continue to have guests express how gorgeous and unique they were. Not only that, but her sweet disposition and professional manor made me feel confident and comfortable selecting her as a vendor. The products were delivered promptly, packaged perfectly and bride satisfaction was guaranteed. I would highly recommend the Divine Invitation for any occasion, there is no one better!" "Madeline was recommended to us by friends that had used her services. The first time we met her she came to our home bubbly and full of excitement to share her passion and ideas for my daughter's wedding stationery. Madeline takes great pride in her work, and has an awesome work ethic. She cares about her clients and wants them to love the selection they choose, not just like it. I would definitely recommend Madeline at Divine Invitation for your high quality stationery needs." "This company is a true gem! 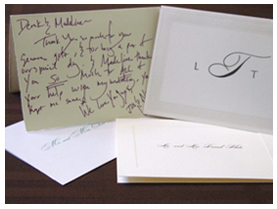 The high-quality, personal service is unlike any other invitation company I have ever worked with. She really has an eye for detail and a passion for her work that shines through everything she designs. Not only was she knowledgeable about the stationery lines she carried but she was also very knowledgeable about proper etiquette and current trends - something that was so important to me. I wanted my invitations to be classy and elegant and Madeline exceeded my expectations! My guests couldn't stop talking about my invites! Madeline was a joy to work with and I recommend her and her company every chance I get." “My fiancé and I had a great experience working with Madeline. She knew exactly what we wanted, had a large variety of products and delivered at a perfect timing. Our guests called us just to compliment her products. I would definitely recommend Madeline to anybody who wants classy invitations and favors for their wedding or any other occasion." "The Divine Invitation is a dependable, creative, and professional service that provides prices that are within the budget. They won’t nickel and dime you. Each design is unique, and captures and communicates the message. I have always been dealt with with integrity, compassion, and strong Christian conviction that what this company does is a ministry. I wholeheartedly and without reservation recommend The Divine Invitation." Pastor Arthur Andrews, Hephatha Lutheran Church, Anaheim, Ca. "It has been such a pleasant experience working with Madeline and the Divine Invitation. It is rare to find people who care as much about your special event as you do. Madeline made our wedding planning easier and she was so compassionate about our wedding and making it special. I loved that I was able to share my joy with her. Madeline is extremely knowledgeable about her products and provided priceless advice. She was always willing to work off my schedule and had impeccable professionalism with a smile. Our invitations and other products were amazingly beautiful and we received wonderful feedback from all our guests. Thanks Madeline!"